The start to the Rangers (11-2-2) has been historic, tying a franchise record for wins and points through the first 15 games of the season and carrying a 10 game point streak (8-0-2) and a six game win streak into tonight’s game against the St. Louis Blues (11-3-1) at Madison Square Garden. New York and St. Louis have established themselves as consistent contenders over the past few years, finishing near the top of their respective divisions. That sets the scene for some very competitive games in recent seasons. 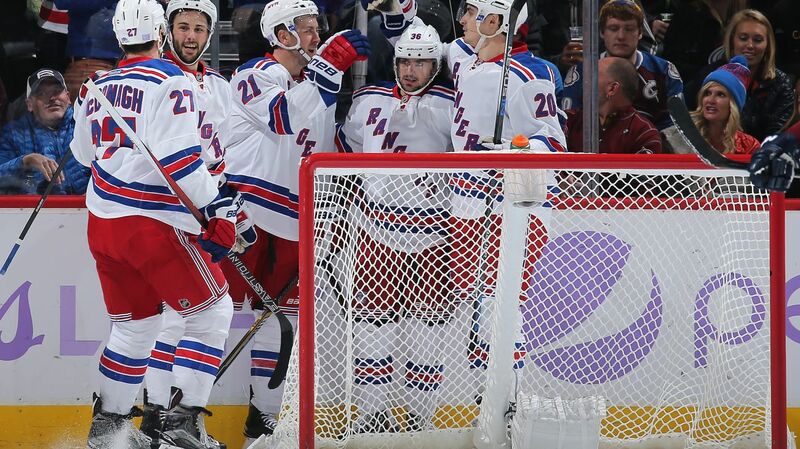 The Rangers are primed to make another long playoff run, and they’re my pick to hoist the Stanley Cup in June. Photo courtesy of MSG Photos. In this podcast, I discuss my 2015 Stanley Cup Playoff Bracket and discuss the first round matchups, my thoughts, and who I think will advance. 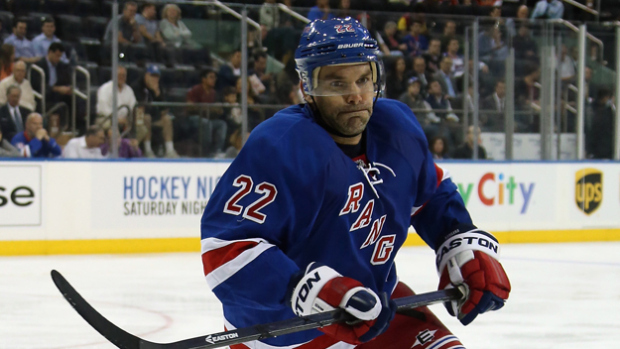 Dan Boyle is expected to start for the Rangers tomorrow night against the Avalanche. 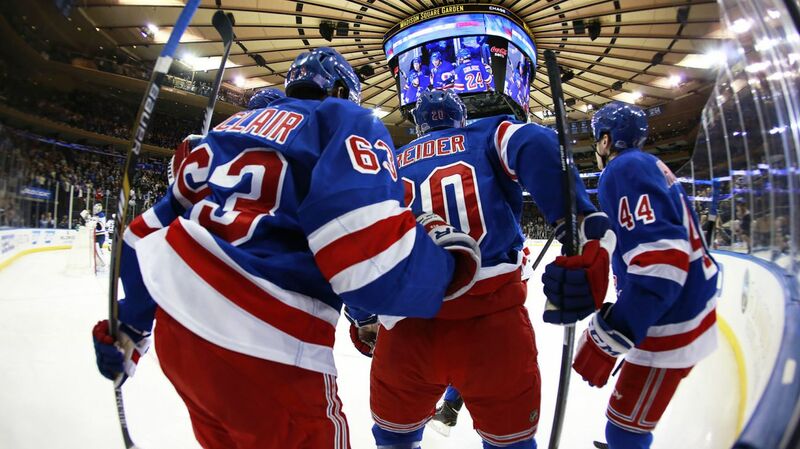 It will be his second game for the Rangers this season, his first game since injuring his hand on October 8th. For the first time since the Rangers season opener against the Blues, offseason acquisition Dan Boyle is expected to return to the Rangers lineup when they take on the Avalanche at Madison Square Garden. Rangers’ head coach Alain Vigneault will be coaching his 900th career NHL game tonight, and his team will be looking to give him a win on his special night at the Garden. 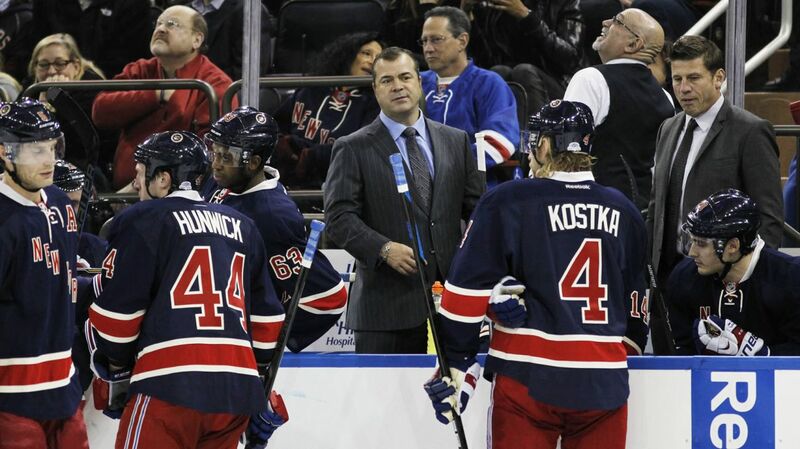 In Alain Vigneault’s 900th career game as a head coach, the Rangers (5-4-2) will look to supply him with a victory over the Detroit Red Wings (6-3-3) in an original six matchup at Madison Square Garden. New York is coming off of two shootout losses against the Winnipeg Jets and the St. Louis Blues, where they likely deserved better with how hard they played and the injuries and inexperience that they had to overcome. 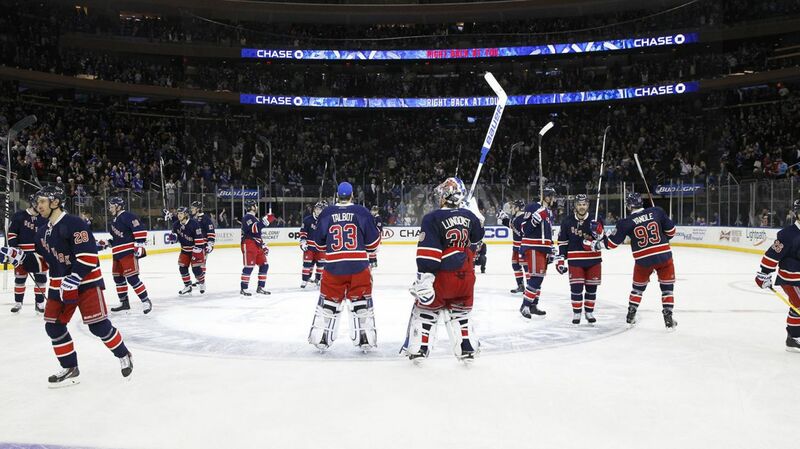 The Rangers managed to score three goals against the Blues, but fell in the shootout for their second consecutive loss in overtime. Photo courtesy of MSG Photos. The Rangers (5-4-2) dropped their second consecutive game in the shootout to the red-hot St. Louis Blues (7-3-1) by a final score of 4-3. With two rookie defensemen making their first starts of the season, and Cam Talbot making his first start since October 10th, the Rangers held their own against one of the better teams in the West and brought it into overtime, but could not finish it off and walked away with a point. Cam Talbot played very well tonight, making 31 saves on 34 shots, including some huge saves in the second period as well as late in the game.